The Australian scenery, lifestyle and rhythm of the seasons offer rich opportunities to acknowledge God’s presence in our journey in this vast and ancient land. Be Still Awhile Along the Track is a resource to help us touch the sacred in our lives. It is a resource to help us reflect on our lives and review how we are responding to God’s invitation to life to the full. Be Still Awhile Along the Track is designed to be used first thing in the morning and at the closing of each day. 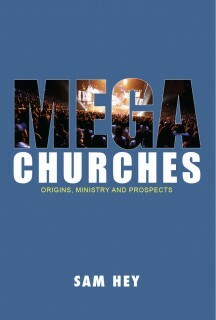 It offers brief reflections to begin the day, using images, thoughts and insights from an Australian perspective. It also includes short scripture readings, evening prayers and a daily question for reflection for use at a time of your own choosing during the day. Taking these few moments of prayer and reflection at the beginning and end of each day can transform the way we think, the way we greet and work with others, the way we appreciate the gift of Creation. Beginning our day with these few moments of prayer and reflection can help us to rejoice in God in whom we live and move and have our being. Jim Quillinan is the author of numerous articles on teacher formation, Catholic identity, and adult spirituality, and conducts retreats for adult groups around Australia. He is the former Deputy Director of Catholic Education in Townsville, and has chaired or been a committee member on Religious Education, Adult Education, and Spirituality in the Diocese of Sale and for the National Catholic Education Commission. He is the author of the popular fortnightly newsletter Along the Track and has published two previous books: Along the Track and Further Along the Track. In the course of ministry as a Priest of the Sandhurst Diocese in Victoria, I have met Jim on a number of occasions. My first association with Jim was his presence on the staff as a teacher at Catholic College in Bendigo, when I was a chaplain at the College in 1990. In recent times Jim has availed himself to mentor staff of Schools supporting them with their own journey in faith as educators. Through these opportunities, many teachers and formators of young minds have benefited from Jim’s earthiness, humour, and gift of story telling. 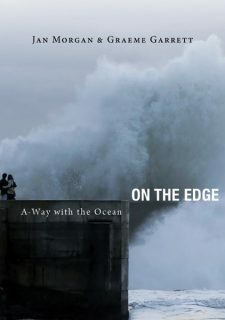 Jim has gone further down the “track of his life’ in his latest publication ‘Be Still Awhile Along The Track’. Personally, I have benefited from Jim’s first publication called, ‘Along The Track”. Certainly through my homilies and other forms of communication, I find Jim’s presentation of article and thought to be very engaging, and down to earth. To this day I still find Jim’s work as a gift of faith to our Church, indeed to our wider Church, as he invites the reader to be in touch with the Spirit from within. Through the busy-ness of life, this latest title of, ‘Be Still Awhile Along The Track’ is most appropriate. I imagine Jim is deliberate in asking the reader to see what becomes important, just to let go of busy-ness and become pre occupied with some stillness! I would be the first to say this easier said than done! Jim’s way is to ask a simple question…”Where are you on the track of your journey in faith and life? “Be Still Awhile Along The Track” will in Jim’s unique and engaging style call you to see what is happening in and around your life. God becomes a source of life as we unfold our personal encounter of faith and life experiences. 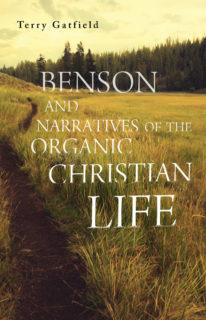 Jim gives us a way into this exploration of faith and life relationships. 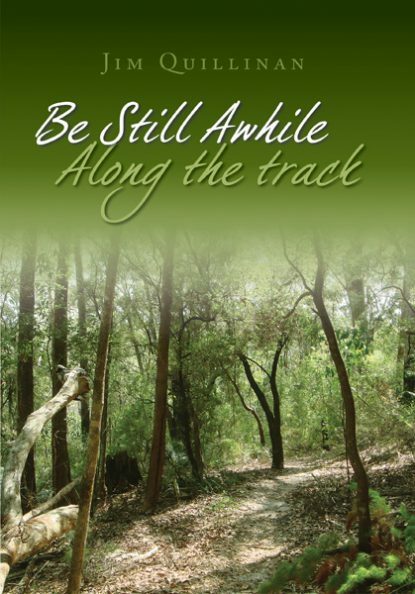 I wholeheartedly recommend Jim’s latest publication, ‘Be Still Awhile Along The Track’ for your personal discovery of the God from within, and as you keep your story and journey of life open to gift of God’s love in you. Thanks Jim for your continued life giving ways in asking us to discern the ways of the Spirit from within.